Our partner in Morocco “La Fondation Amane pour la Protection de l’Enfance (FAPE)”, is a not-for-profit Moroccan association born out of our previous partnership with Group Maroc Horizon. FAPE works from the social centre in Taroudannt, Centre Amane. Their mission is to provide social support to families in difficult situations through helping the integration of vulnerable children, young people and women into a supportive family environment in both the urban and rural settings of the province of Taroudannt. To coordinate between public and political bodies in the region in order to create and implement an effective child protection system to better support vulnerable children in the region. To advocate and raise awareness both regionally and nationally about issues that lead to the marginalisation and social exclusion of those most vulnerable. To reinforce and mobilise both national and international volunteers in support of humanitarian development. 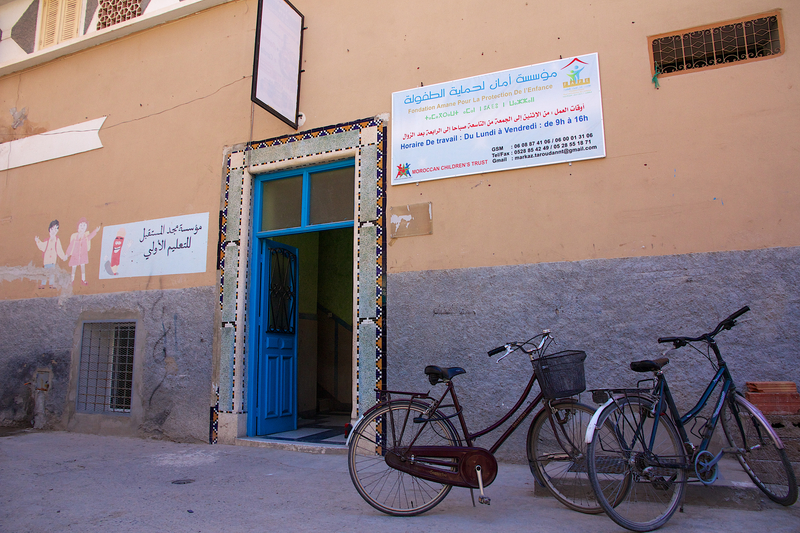 The Centre Amane, from which all of FAPE’s services are ran, acts as a social community centre in Taroudannt. The direct social work coordinated at the centre acts as a strong base for both MCT’s and FAPE’s larger advocacy strategy.